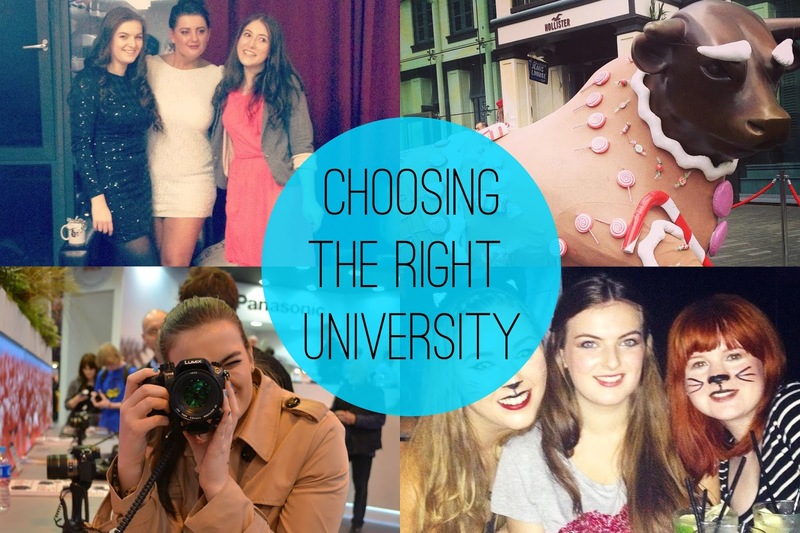 Applying for University is pretty stressful and with the UCAS application deadline next week, I thought I’d share a few of my thoughts on picking the right university. I’m currently in my third and final year studying Fashion Retail Management so the application process feels like a million moons ago. Choosing the perfect course is the most important thing, here’s a few of the things that I really took into consideration. – Accommodation: In the first year, you tend to stay in student halls. Fortunately for me, the accommodation was pretty excellent with a 5 minute walk to university and a 5 minute walk to the city centre. I’ve also stayed here all three years as It’s a lovely building, all with en-suites and full security. I did however view a couple others in different universities which were off-campus meaning bus journeys everywhere. – Location: A big factor to me choosing to live in Birmingham is that I wanted to experience living in a city. As you will be living there for at least three years, I felt it was important to be somewhere I liked and had lot’s to do. I’ve actually really liked totally experiencing a new place. – Distance from home: I’m about 3 and a half hours on a train from home which is quite the distance if you want to go home suddenly. If you get homesick easily, this is something to consider. Especially travel costs! – The Right Course: Obviously the most important factor. If you don’t like your course, you’re probably not going to be very happy which is not good. I looked around a lot of courses which were quite similar although some were very creative and some were very business-y. The course I am on is a mix of the both which has given me experience in a lot of different fields. – The University: Each university is different, my University had limited resources in the first year but as I went into the second year we moved into a brand new building which was a lot better. There’s so much to do within a University, it’s just finding something your interested in. – Opportunities: At the University of Greenwich they used Kiss FM presenter AJ to show what you can get up to in your faculties. Different opportunities for work placements or trips could arise and having that extra experience could be really important. The following videos show presenter AJ taking on teaching as part of the Faculty of Education and Health and also exploring the Faculty of Engineering and Science. Hope this does help anyone in the process applying to university or even preparing to apply for the future. I’ve got a little giveaway for you now! You could win a £10 gift voucher for the arcadia group (Topshop, Miss Selfridge, Topman, Dorothy Perkins, BHS, Wallis etc). Just enter on the little widget below! Good luck everyone! If you’re feeling extra lucky, there’s a great competition here to win a big University bundle including an iPad mini!